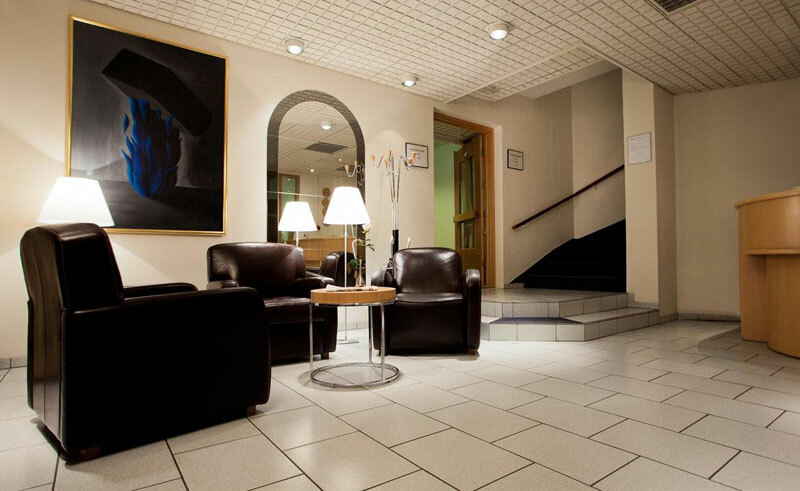 Set in the centre of Akureyri with plenty of bars and restaurants nearby, the Nordurland has 32 en suite rooms that are ideally located to experience northern Iceland’s cultural and environmental highlights. River rafting, hiking, fishing and horse riding can all be arranged in the area, while most guests make a point of visiting the natural baths and wandering trails of the geothermal Myvatn area. Whale watching also comes highly recommended and the Nordurland Hotel is only a brief drive from Europe’s whale watching capital of Husavik. 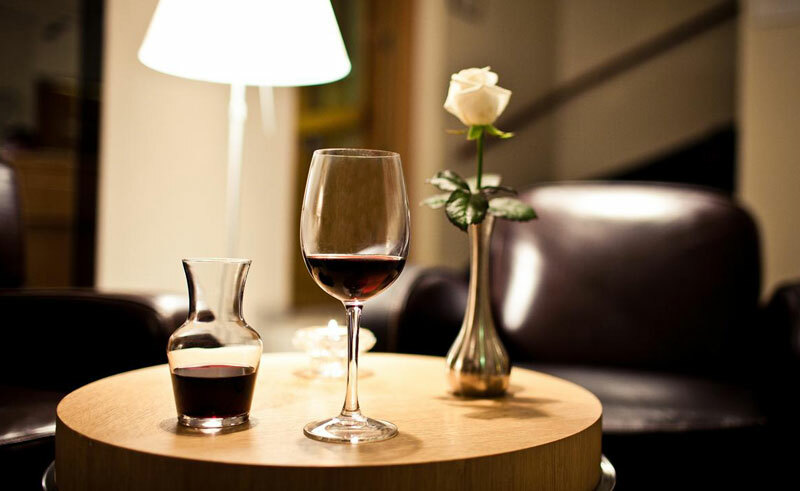 There are plenty of dining options throughout the city, but the in-house restaurant offers a wide range of dishes and is family friendly, coming highly recommended. 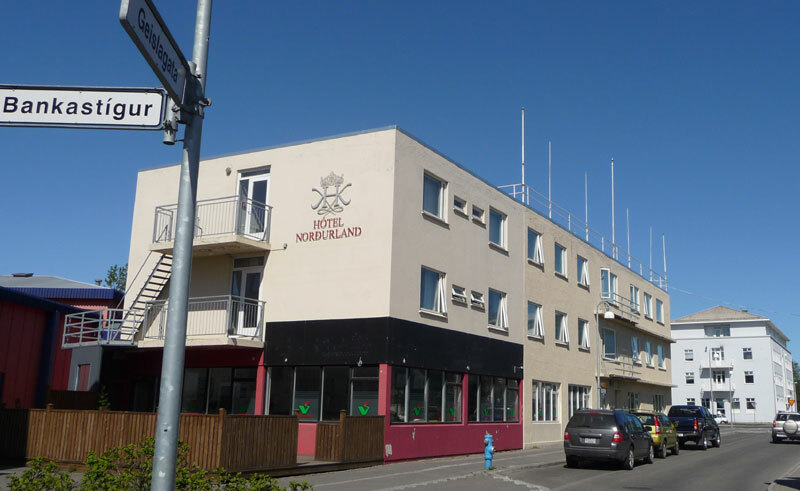 The nearby Greifinn offers special rates for guests of the Nordurland Hotel, meaning that a quality meal at a good price shouldn’t be too difficult to find. 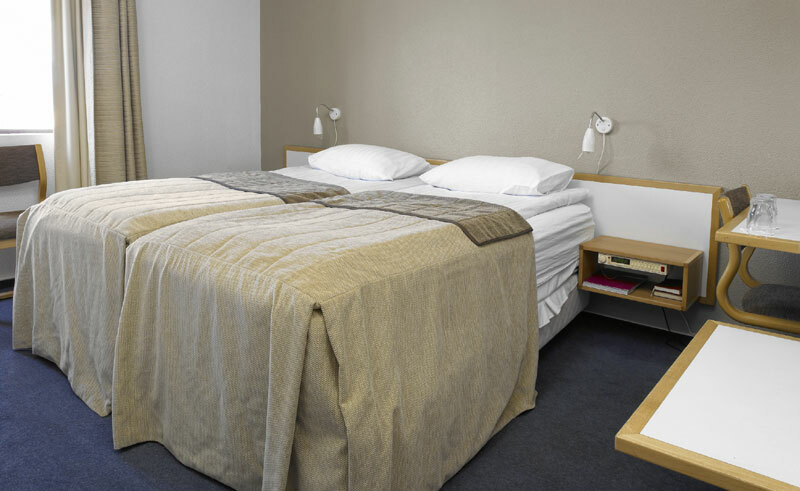 Each of the hotel’s 32 rooms are equipped with private facilities, coffee and tea making equipment, refrigerator, hairdryer and TV and come in a selection of single or double rooms.